All that is known is that it was created (year unknown) by the Federal Lithograph Company of the Marquette Building. Leave a comment if you can solve the mystery! Thanks! 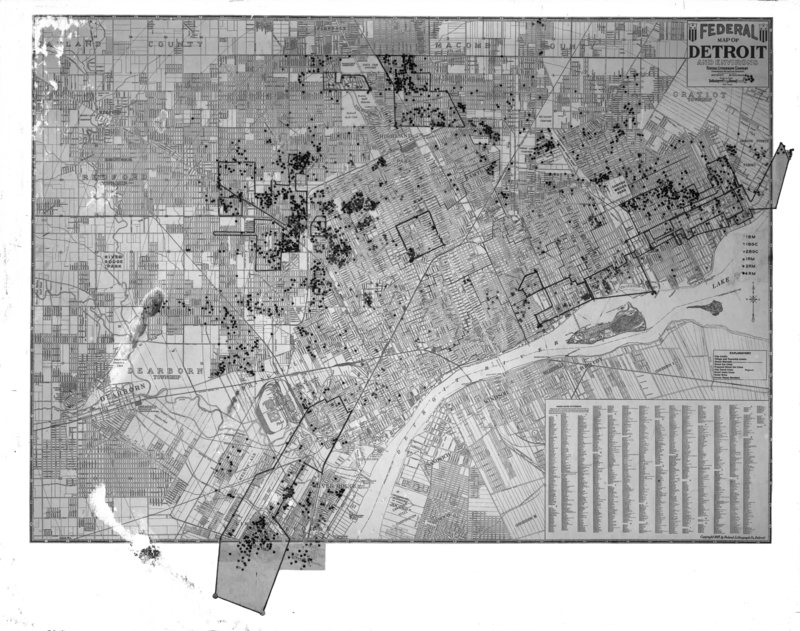 Based on the lack of streets & such in the upper right corner, in Gratiot Township, this predates the maximum borders of Detroit, achieved in 1926. What the black dots are is anyone’s guess. Because I can’t blow it up to read where they are this becomes a useless exercise beyond the most basic. There are rail lines there but some of the black outlines don’t seem to have any commonality. 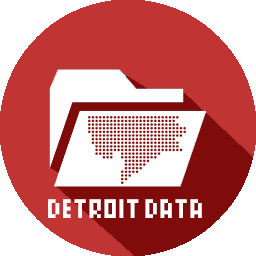 Things like Campau Woods Park & Connors Creek Park aren’t even a memory for most Detroiters.